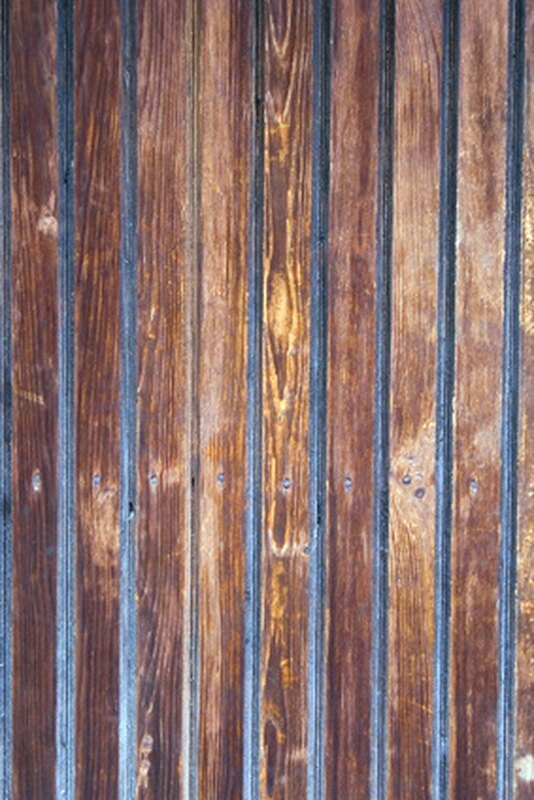 Staining wood can dramatically change the appearance of boards or furniture. Depending on the color of the stain, it can bring out the lines in the wood and highlight knots to emphasize the beauty of the piece you are staining. There are many colors of stain to choose from, and with a few tricks you can get the stain to match your current decor almost perfectly by regulating how long you leave the stain on the wood before you wipe it off and let it dry. Wipe away any excess wood stain for faster drying. Use a soft, absorbent rag to wipe away excess stain after applying the stain to your project. Set the cloth aside. Choose a clean rag and rub harder into the wood. Rub off the stain until it is the color you desire. The more you rub, the lighter the stain will become and it will lessen the overall drying time. Place the object in the position you want it to dry. Place the object where it will not rest against or touch anything else that could cause the stain to rub off even more. Wait 15 minutes. Look for drips and runs that may have appeared from places where the stain pooled up inside knots, cuts or edges in the wood. Wipe away any drips or runs you see. Rub as necessary to match the overall color. Reapply a small amount of stain if necessary and wipe dry. Allow wood stained with oil-based wood stains to air dry for eight hours before sealing with a sealant. Allow wood stained with water-based stains to air dry for 24 hours before sealing with a sealant. Julie Eger lives in central Wisconsin and has been writing for eHow since May of 2009. She received a scholarship to attend the Rhinelander School of Arts in 2007 when she submitted a piece entitled "Discovering the Writer Within Me." Her story, "The Drawing of the Shoe," was voted best in class.